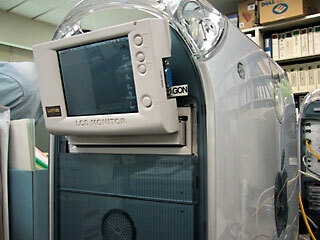 This is 4 inches liquid crystal monitor made by Logitec. We can store it away 5 inches drive bay of PC , and it is VGA indication. If we install it in Mac, we need to remove a CD-ROM drive.